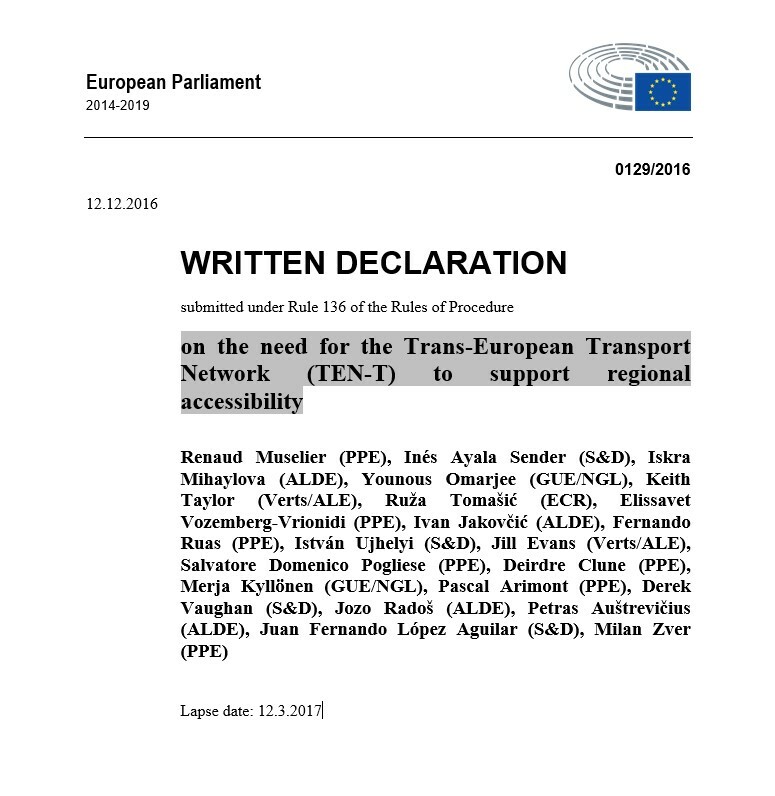 The CPMR is asking you, our Member Regions, to urge your local MEPs to support a European Parliament declaration calling for the EU’s remaining Connecting Europe Facility (CEF) funding to be allocated to projects that improve accessibility for Europe’s peripheral regions and islands. The way the CEF has been implemented since 2014 has resulted in an excessive concentration (more than 95%) of EU financial support to transport infrastructures on nine central, priority corridors. Peripheral and island regions have only marginally benefited from the CEF funding, which is a key EU funding instrument to promote growth, jobs and competitiveness through targeted infrastructure investment. As a result, we ask our Member Regions to contact their MEPS and invite them to sign the written declaration which is already being supported by 100 MEPs from six political groups, and has been submitted to the Parliament by French MEP and 1st Vice President of PACA region, Renaud Muselier. 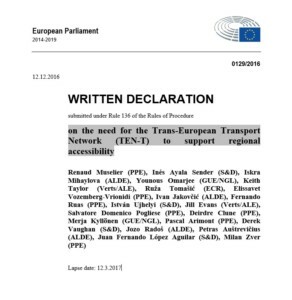 The written declaration, which is open for MEP signatures until 12 March 2017, is calling on the European Commission and Member States to ensure that the CEF funding that is still available for 2017-2020 is prioritised to enhance accessibility for those Regions that have geographical handicaps hindering their potential. Needless to say that such a declaration, once adopted, will be a key argument for peripheral maritime regions when negotiating the post 2020 CEF regulation. To view the declaration in other available EU languages please visit the European Parliament Public Register of Documents site (select the language required at the bottom left hand corner of site).